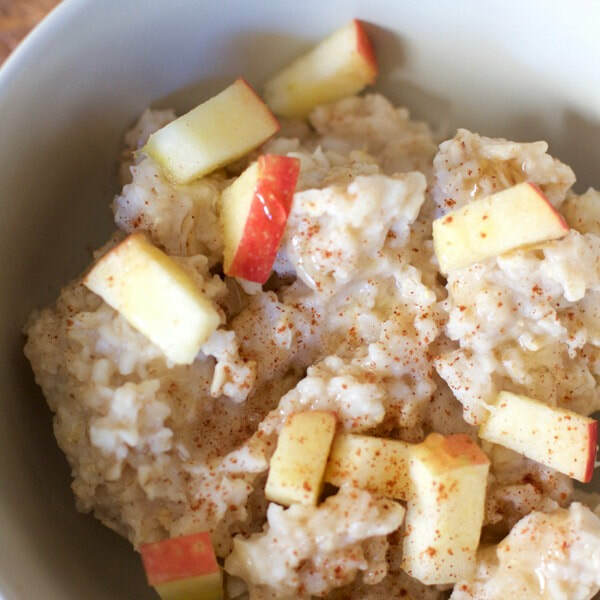 In a microwave-safe bowl, mix together oats and water or milk. Microwave for 30-60 more seconds until oatmeal reaches desired thickness. Add additional water or milk for thinner oatmeal. Mix in apple pieces and honey, if using. Note: You can use skim milk instead of water for increased protein, calcium, and vitamin D.